Have you ever wondered how those perfect pictures in those magazines, billboards or even those photographs shared by your friends on social media, are so beautiful? Though the photographer requires the credit, another main factor is the camera used. 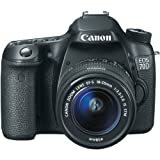 When you use a DSLR camera, your photos are instantly clearer, sharper and enhanced. This is because the camera is equipped such advanced technology, that it captures images like no other camera. If you have been using one of the compact digital cameras or your smartphone camera, you are bound to see a drastic difference. With the increased interest in photography and advancement of technology, there are many companies coming out with various models of DSLR cameras very frequently. Choosing the right camera is not as easy as clicking the pictures because what you choose is what determines how your photographs turn out to be. 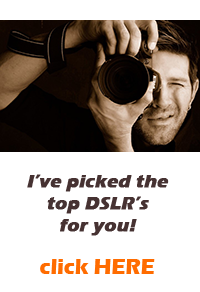 Here is a list of best DSLR cameras in the market, to make your selection process easier. 7 What Will Suit You? This advanced DSLR camera from Nikon comes with a 24.3 megapixel CMOS image sensor and is equipped with an EXPEED 4 image processor. It also has a pro video feature set that can record a video in both compressed and uncompressed format simultaneously. While you are recording, you can control the ISO, aperture and the shutter speed, manually. This camera has a monocoque body design with a LCD display that can be titled in different angles. It is light, compact and hence easy to carry. This camera from Canon comes with a 22 megapixel full frame CMOS sensor and enables you to shoot continuously at the rate of 6 frames per second. It also has a 1080 pixel HD recording facility with manual controls. The LCD screen is 3.2 inches with 1,040,000 dots. If you want to photograph any event or a ceremony, this camera will enable you to capture all the scenes with great clarity and the high shutter speed will ensure you don’t miss any details. You can use this camera for both indoors and outdoors, thus requiring you to carry just one camera for any event. This is one of the best DSLR cameras from Pentax which allows you to click great pictures in any weather. The camera body is weather resistant and the body points are illuminated wit LED to enable you to see your controls even in poorly lit conditions. The camera has a 36.4 megapixel filter less CMOS sensor with a shake reduction and pixel shift resolution system. The LCD display screen can be cross tilted too. Now you can click great pictures on the move. If you are an outdoor or a wild life photographer, you can benefit greatly from a camera that give you great quality image, shake free and doesn’t get affected by the weather conditions. This 20.2 mega pixel camera from Canon comes with an APS-C CMOS sensor and a 19 point cross type AF system. The 3 inch LCD display panel can be turned in different angles and dual pixel CMOS AF enables you to focus quickly, be it for live viewing of recording a video. The built-in flash is equipped with a speedlite transmitter. It also has a continuous shooting speed of 7 frames per second that enables you to get quick shots of an event unfolding in front of your eyes, without you missing any of the details. The dual pixel CMOS AF has created a revolution in the way videos are recorded. The speed and accuracy is so great that precise focus is achieved easily even when you are shifting between subjects. When your subject is on the move, it is tracked consistently and smoothly. This camera from Nikon is one of the best DSLR cameras with a 24.2 megapixel CMOS DX- format sensor and a 3 inch LCD display screen. It allows you to click continuous photos at a speed of 5 frames per second. This camera is light, compact and easy to use. No matter what you want to do, record videos or even add special effects to your already recorded images, this camera has so many options and the outcome extremely satisfying. This camera is compatible with your smartphones and tablets, hence enabling you to share all those great images, immediately. Why waste time transferring it to your laptop and then attaching it in a mail to your friends and family? Share the joy instantly with the Nikon D3300. Now that you know a little more about the best DSLR cameras in the market, it is definitely easier for you to make your final choice. 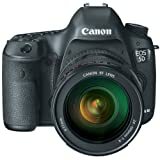 However, there are other factors you need to consider before you invest in one of these best DSLR cameras. Photography Type – The camera you buy will majorly depend upon the type of photography you will be using the camera for. If you are a wild life photographer, you don’t require a wide frame camera. Similarly if you are a still life photographer, a camera with shake reduction facility will not be of much use to you. Budget – A DSLR camera is not cheap by any means. You will have to invest your hard earned money, wisely. While you buy your camera, you need to remember the camera has different lenses that can be changed as per your requirement and these lenses have to be purchased separately. 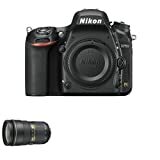 Brand – It is always better to go in for one of these top brands in DSLR cameras as these brands will have a wide variety of lenses for you to choose from. The specialized lens manufacturers also make lenses that are compatible only with the well known brands of cameras. Now that you know what is required to buy your DSLR camera and which camera is equipped with what latest technology, it is not a difficult task to choose the best camera for your photography needs. Go ahead and enjoy photography like never before.